Brevity is excited to announce a special issue to be focused on experiences of race, racialization, and racism. For our 53rd issue, we are looking for work that considers all aspects of race: what it is, what it means, how our understanding of it is changing. We want essays that explore how race is learned during childhood, lived over the entire course of a life, and how our changing understanding of race shapes the way we experience ourselves and others. We are looking for flash essays (750 words or fewer) that explore the lived experience of race, racialization, and racism, show the reader a new way to look at the familiar, or give voice to under-represented experiences. Submissions will be open from March 15th- May 31st and the issue will be published in mid-September. We are very excited to announced that our anchor authors for this issue will be Claudia Rankine and Roxane Gay. The guest editors for this special issue will be Ira Sukrungruang and Joy Castro. Born in Miami, Joy Castro is the author of The Truth Book: A Memoir, the New Orleans literary thrillers Hell or High Water and Nearer Home, the essay collection Island of Bones, and the short fiction collection How Winter Began. Recipient of an International Latino Book Award and the Nebraska Book Award and finalist for the PEN Center USA Literary Award, she edited the collection Family Trouble: Memoirists on the Hazards and Rewards of Revealing Family, and serves as the series editor of Machete: The Ohio State Series in Literary Nonfiction. Her work has appeared in anthologies and in journals including Salon, Seneca Review, Fourth Genre, North American Review, Brevity, Afro-Hispanic Review, and The New York Times Magazine. She teaches creative writing, literature, and Latino studies at the University of Nebraska-Lincoln, where she directs the Institute for Ethnic Studies. Ira Sukrungruang is the author of the memoirs Southside Buddhist and Talk Thai: The Adventures of Buddhist Boy, the short story collection The Melting Season, and the poetry collection In Thailand It Is Night. He is the coeditor of two anthologies on the topic of obesity: What Are You Looking At? The First Fat Fiction Anthology and Scoot Over, Skinny: The Fat Nonfiction Anthology. He is the recipient of the 2015 American Book Award, New York Foundation for the Arts Fellowship in Nonfiction Literature, an Arts and Letters Fellowship, and the Emerging Writer Fellowship. His work has appeared in many literary journals, including Post Road, The Sun, and Creative Nonfiction. He is one of the founding editors of Sweet: A Literary Confection, and teaches in the MFA program at University of South Florida. Submissions begin today on our Submittable page. Lyrical writing, like the lyre it originally accompanied, holds its heart in song and in the address of another. It is an observation shared with someone else, when the ‘I’ of the singer births a ‘you’ in the form of an audience, or a writer a reader. However, there’s a funny trick that happens with lyric: a blurring begins. The pronouns get mixed up. It occurs every time you sing your favorite song – the ‘I’ of another enters your mouth. You temporarily share someone’s else’s identity, their turn of phrase, and you want this moment, because this ‘I’ has captured something that feels true to you, even if the story being told is outside the scope of your regular life. Because of your elite status from a year’s worth of travel, you have already settled into your window seat on United Airlines, when the girl and the mother arrive at your row. The girl, looking over at you, tells her mother, these are our seats, but this is not what I expected. The mother’s response is barely audible—I see, she says. I’ll sit in the middle. The entire book is a collection of stories gathered from a community of friends and then retold or folded into my own stories. And though it’s not strictly nonfiction, Citizen is not fiction either. The experience of writing it, which might or might not be the experience of reading it, was to see my community a little better, to see it, to understand my place in it, to know how it sounds, what it looks like, and yet, to stay on my street anyway. Rankine’s ‘not strictly nonfiction, but not fiction either’ approach to short prose pieces (most log in at a page or less), to my mind inhabits the world of lyrical flash nonfiction. At the heart there is an elasticity of experience. As Marcia Aldrich writes, “The lyric essay does not narrate a story so much as express a condition – often named, sometimes called human, but still to us unknown. It reverses foreground and background, cultivating leaps and juxtaposition, tensing between the presentational and the representational.” Rankine seeks to understand, a word that in its etymology means ‘to stand between, among; to be close to’. Rankine tries to make the reader ‘understand’ her pieces by narrating micro-aggressions from the intimate, close place of ‘you’. The man at the cash register wants to know if you think your card will work. If this is his routine, he didn’t use it on the friend who went before you. As she picks up her bag, she looks to see what you will say. She says nothing. You want her to say something—both as witness and as a friend. She is not you; her silence says so. With lyric, you may be suddenly seeing with multiple sets of eyes. In Rankine’s case, pronouns become a transitional space for a reader, especially if he is white; through his imagination he inhabits this racialized ‘you’, but at the same time the very foreignness of this experience serves to highlight the fact that he as a white person has never been treated this way. The blurring of ‘you’ and ‘I’ is disorienting; this painful impossibility echoes in the narrator’s refrain of What did you say? The rain this morning pours from the gutters and everywhere else it is lost in the trees. You need your glasses to single out what you know is there because doubt is inexorable; you put on your glasses. The trees, their bark, their leaves, even the dead ones, are more vibrant wet. Yes, and it’s raining. Each moment is like this – before it can be known, categorized as similar to another thing and dismissed, it has to be experienced, it has to be seen. What did he just say? Did she really say that? Did I hear what I think I heard? Did that just come out of my mouth, his mouth, your mouth? The moment stinks. Still you want to stop looking at the trees. You want to walk out and stand among them. And as light as the rain seems, it still rains down on you. Kelly Morse is a poet, creative nonfiction writer, and translator. Her creative work has appeared or is forthcoming in Brevity, Quarter After Eight, Linebreak, Flyway and elsewhere. Her translations and reviews of Vietnamese poetry appear in Asymptote and M-DASH, and she recently won Lunch Ticket’s Gabo Prize for Translation. Kelly has had work nominated for Best of the Net, is a Robert Pinsky Global Fellow and a Vermont Studio Center grant recipient. A deadline only days after AWP? What were we thinking? So we are keeping submissions open for our special gender issue until April 30th. And we are still in need of KICKSTARTER DONATIONS to push us over the top for the special issue focusing on Experiences of Gender and featuring new work by Kate Bornstein, the original gender outlaw. Ms. Bornstein’s books include Gender Outlaw, My (New) Gender Workbook, and Queer and Present Danger, as well as work from Jennifer Finney Boylan. You continue to astound us with your generosity! We can’t believe we have already made it through our first Kickstarter stretch goal, and everyone at Brevity is grateful and moved and more than a little overwhelmed. Thank you! Our next stretch goal is, we think, a really amazing one: our next special issue, featuring new work by award-winning poet and playwright Claudia Rankine and guest-edited by one of our favorite (not that we have favorites) Brevity authors, the also-award-winning Ira Sukrungruang. 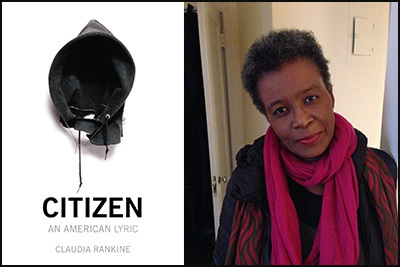 Claudia Rankine (as if you didn’t know) is the author of five collections of poetry, including most recently Citizen: An American Lyric, a finalist for the National Book Award and winner of the National Book Critics Circle Award in Poetry. She has coedited American Women Poets in the 21st Century; Where Lyric Meets Language (2002), American Poets in the 21st Century: The New Poetics (2007), and The Racial Imaginary: Writers on Race in the Life of the Mind (2014). Her poems have been included in the anthologies Great American Prose Poems: From Poe to the Present(2003), Best American Poetry (2001), and The Garden Thrives: Twentieth Century African-American Poetry (1996). Her play Detour/South Bronx premiered in 2009 at New York’s Foundry Theater. We’ve been reading, and teaching, and gushing over Rankine’s work quite a lot recently, and are more than a little beside ourselves that she’s said yes to being next year’s anchor author. We can’t wait to bring you a new piece of her powerful writing! Guest editor Ira Sukrungruang is the author of the memoirs Southside Buddhist and Talk Thai: The Adventures of Buddhist Boy, and the poetry collection In Thailand It Is Night. He is the coeditor of two anthologies on the topic of obesity:What Are You Looking At? The First Fat Fiction Anthologyand Scoot Over, Skinny: The Fat Nonfiction Anthology. He is the recipient of the New York Foundation for the Arts Fellowship in Nonfiction Literature, an Arts and Letters Fellowship, and the Emerging Writer Fellowship. His work has appeared in many literary journals, including Post Road, The Sun, and Creative Nonfiction. He is one of the founding editors of Sweet: A Literary Confection (sweetlit.com), and teaches in the MFA program at University of South Florida and the low-residency MFA program at City University in Hong Kong. For more information about him, please visit: www.buddhistboy.com. We hope you’re as excited about this announcement as we are, although unless you’ve just gotten giddy and a little teary-eyed, done a happy dance and called your mother to tell her that you’ve finally made something of yourself, you probably aren’t. We are deeply honored by the amazing writers who are willing to work with us, and the amazing readers who make our work possible. Thank you. Help us Fund the New Special Issue, and so much more. 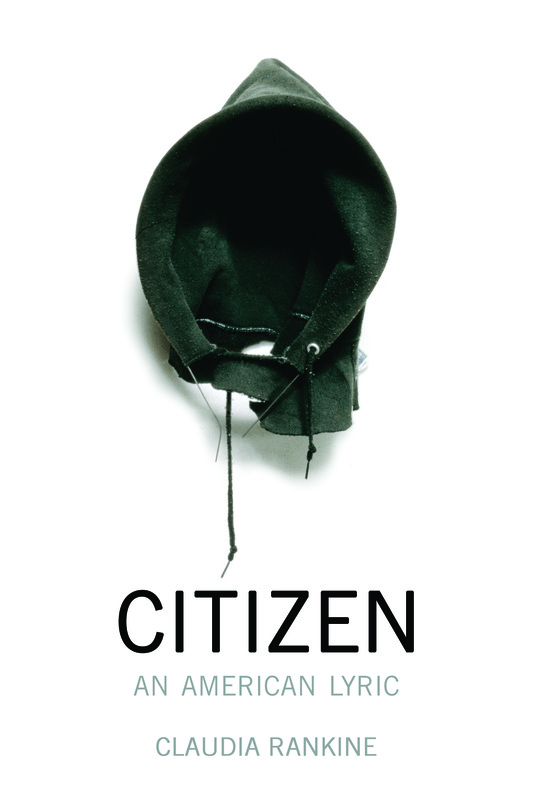 Claudia Rankine’s Citizen: An American Lyric combines essay, image and poetry to describe how mounting racial aggressions in daily life and the media–some intentionally offensive, others errors consistently made–affect a person’s abilities to speak, write, perform, and stay alive. Tone is an everyday kind of maneuver. It disrupts and communicates aggression, disgust, dis- respect, and humor, among a myriad of possibilities, thereby allowing language to morph into a blanket or a gun. It helps me know how to read the spaces between things. One has an ear out for it always. It’s a thing to be translated. [Your question] presupposes certain expectations for tone in public encounters, places where equality and sharing are legislated to happen, places where one has expectations for justice, for evenhandedness, and for “we are all just people here” indifference. I don’t exactly expect disdain when paying for my bagel. Not at 9 AM in a café, anyway! She also discusses the difficulty of attempting to “reroute the content I am living,” within the frame of a world pushing back against her truth. Read the interview at BOMB. Ms. Rankine also has a fascinating website. It’s well worth checking out how she presents her visual, collaborative video, spoken, and multi-genre work in a graphic format that frames and reflects her subject matter. You are currently browsing entries tagged with claudia rankine at BREVITY's Nonfiction Blog.